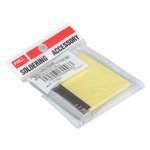 Desoldering wick for solder removal, 2.5 mm x 20 m.
Two sponges for cleaning soldering iron tips, made of pure cellulose. 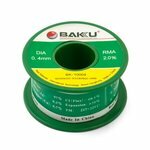 High quality desoldering wick (3.0 mm, 2 m) with braided copper wire, saturated with RMA flux. 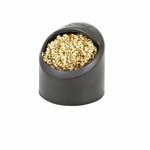 Solder 0.6 mm in diameter (100 g), composition: Sn 97%, Ag 0.3%, Cu 0.7%, flux 2%. 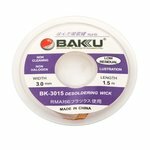 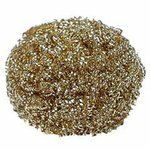 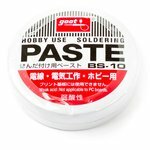 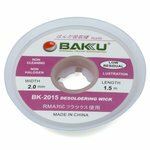 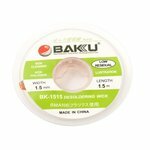 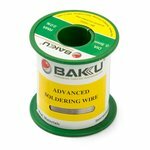 Desoldering wick for solder removal, 3 mm x 1.5 m.
Desoldering wick for solder removal, 1.5 mm x 1.5 m.
Desoldering wick for solder removal, 0.8 mm x 30 m.
Soldering iron tip cleaner made of brass shavings. 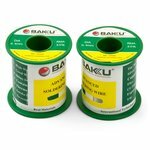 The container with two packs of shavings. 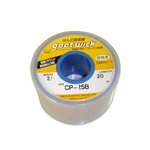 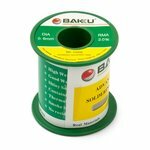 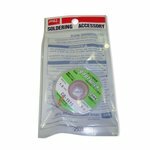 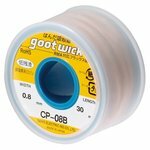 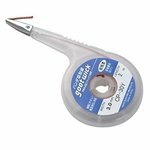 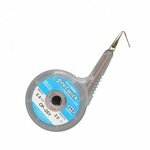 Replacement brass wire for soldering iron tip cleaning with Goot ST-40 tip cleaner. 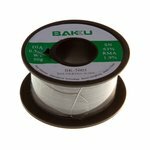 Solder 0.4 mm in diameter (100 g), composition: Sn 97%, Ag 0.3%, Cu 0.7%, flux 2%. 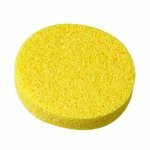 Replacement sponge for cleaning soldering iron tips. 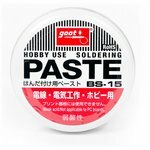 Compatible with Goot ST-11 soldering iron stand. 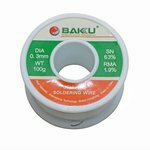 High quality desoldering wick (2.5 mm, 2 m) made of braided copper wire, saturated with RMA flux.